Welcome to the latest installment of the “Will we ever see another 300-game winner” post. (Aside; yes I know the limitations of the “win” statistic. However, nobody looks at a 20-game winner on the season or a 300-game winner for his career and excuses it as a statistical aberration; the pitcher win will continue to be important to players and in the lexicon of the game for years to come, despite Brian Terry‘s #killthewin campaigns). Of the 24 pitchers in the game’s history to have reached the 300-game plateau, 4 of them have done it in the last decade (they being Randy Johnson, Roger Clemens, Greg Maddux, and Tom Glavine). However, there exists a distinct belief in the game that we may not see another 300-game winner for some time, thanks to pitch count obsessions, innings limits, 5-man rotations, NL small-ball managing, match-up relievers and generally a huge rise in bullpen usage over the last 20 years. Rob Neyer posted about Felix Hernandez upon his reaching 100 wins in April 2013. Jay Jaffe asked whether we’ll even get 200-game winners going forward in May 2013. Jeff Passan tacked this same topic in May 2013 and mentioned some names that we now know are definite longshots thanks to injury. Craig Calcaterra predictably whined about people’s obsession with wins when Sabathia hit 200 career wins in July 2013. Here’s a fun graphics-intensive post at HighHeatStats about 200 and 300 game winners from July 2013. 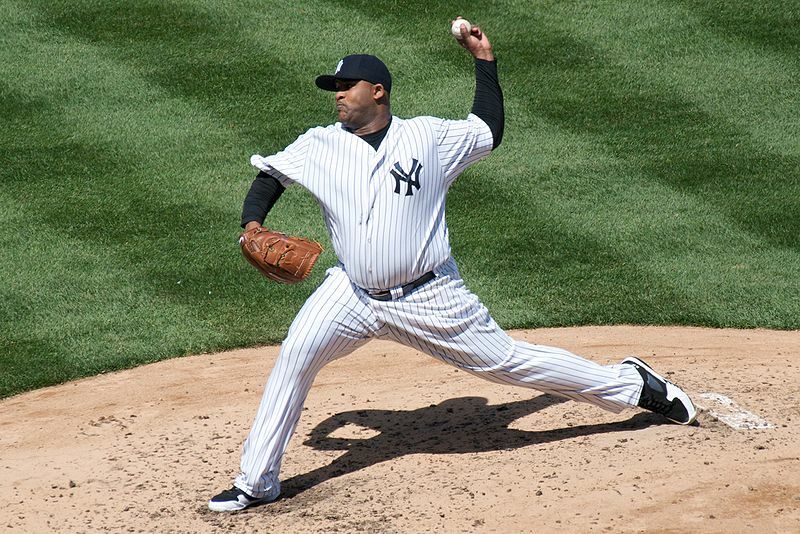 When we first broached this topic (in April 2009), Sabathia was still the best bet (outside of Randy Johnson, who sat at 296 before the 2009 season began), but it didn’t look that good for anyone else to reach the plateau, and a couple of the names we guessed as having an outside shot (Ervin Santana and Scott Kazmir) seem like ridiculous choices now. When we most recently broached this topic (at the end of the 2012 season), we explained some statistical models we and others were using to try to predict who may have the next best shot at reaching the mark. We concluded that Sabathia and Hernandez were both pretty good guesses at the time to reach the plateau. I maintain a spreadsheet (uploaded to google and/or available via the links to the right of this page) that ranks candidates using a couple of formulas inspired by Jay Jaffe (see 2012’s post for the full thought process behind them). Basically Jaffe’s prediction models assume that the pitcher can win X games per year after a set age (in Jaffe’s case, his simple formula assumes pitchers win 15 games/year until their age 42 season, a relatively optimistic projection and hence why he self-titles it using the words “blindingly optimistic”). I’ve used a couple other methods to rank pitchers (calculating average number of wins past the age of 18 or 23, but since some guys get drafted out of HS and debut at 20 or 21 these projections end up looking ridiculous), in order to find candididates to put into the discussion. I also don’t really even consider a guy until he gets to 50 career wins, so there’s no wild speculation about someone like Shelby Miller (15 wins in his age 22 season) or Jose Fernandez (12 wins in his age 20 season). So, without further ado, here’s a list of starters right now who are in the conversation of possibly reaching 300 wins in their career and my % chance opinion of getting there. CC Sabathia remains the pitcher with the best chance of reaching 300 wins, but i’ve downgraded his probability from last year’s 90% to just 75% right now. Why? Well read no further than the link about his 2013 decline, where his FB velocity dropped, his ERA rose and he posted a sub 100 ERA+ value for the first time in his career. He still won 14 games, but his win totals have declined four years in a row. On the plus side, he’s a workhorse pitching for a team that historically has a great offense, which enables him to get wins despite an inflated ERA (he had 4 or more runs of support in 20 of his 32 starts in 2013 … Stephen Strasburg just started crying). It still seems entirely plausible he can average at least 10-12 wins for the next 7 seasons and hit the milestone before hanging them up. Clayton Kershaw improves his probability of hitting the plateau from last year to this year based on two factors: First, he has clearly stepped up and is now the pre-eminent starter in the game and seems set to continue to post 16-20 win seasons for the extended future. Secondly, the Dodgers now spend money like no other, ensuring a winning team that gets Kershaw victories even if he’s not pitching his best. He was “only” 16-9 in 2013; I would expect him to put up more wins each season in the next few years, and I wouldn’t be surprised to see him with 160 career wins before he’s 30. Felix Hernandez‘s chances have plummetted; going from 75% last year to just 10%. Why such a precipitous drop? Two factors; first he took a noted step back in FB velocity this year, to the point where pundits were questioning his arm strength. Secondly, he signed a massive deal to stay in Seattle … and Seattle right now is not a winner. It has a completely dysfunctional ownership and management group and seemingly has no idea how to put together a baseball team. They’re competing in a division of teams with better management willing to spend more money, and these factors are going to continue to have Hernandez put up the 13-14 win seasons he has been doing for the last four years. He’s already 27: if he’s doesn’t have back to back 20 win seasons his chances are kaput. Justin Verlander, like Hernandez and Sabathia, also had a curious drop in performance in 2013, leading me to drop his 300-game chances from one in three to one in ten. At age 30 he has logged just 137 wins and has gone from 24 to 17 to 13 in the last three seasons. If he can right the ship and get back to the 18-20 game win plateau, he can get his 300-game mojo back, but at age 30 he’s less than halfway there, so chances are looking pretty slim. Madison Bumgarner appears here mostly because of his advanced win totals at such a young age; he already has 49 career wins before his 24th birthday. He’s averaging 14 wins a season so far, and with a 14 win average in every season between now and his age 40 year he’d hit his mark. But I have his chances right now at only 5%; its just too early to really tell if Bumgerner will have the endurance and continued success to get there. Plus, is Bumgarner an elite starter or more in the mold of a Mark Buehrle (i.e., a durable lefty who grinds out 13-14 win seasons for a decade)? Trevor Cahill is in nearly the same boat as Bumgarner, except that I don’t think he’s quite as good. In fact, Cahill seems like he’s bound for Mark Buehrle territory (see below); an innings eating guy who is always right around the 13-12 mark each season. If he does this for the next 15 years, he may get close. I give him a slight chance. Zack Greinke has gone from not even being considered to having a 5% chance. Why? 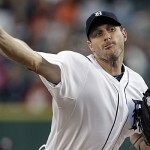 Well he’s signed a huge long term deal with a very good team AND he now pitches in both the NL and in a pitcher’s park. In 2013 he put up a very quiet 15-4 record and I think with his stuff and his health he could put up multiple 16-18 win seasons. That’d get him to the mid 200s by the time he’s nearing 40 … maybe enough to have him go for it while pitching into his early 40s. Or maybe not; by the time he’s 40 he’ll likely have nearly $250M in career earnings and may just buy a ranch somewhere. Mark Buehrle‘s career 162 game average W/L record (14-11) is identical to Bumgarner’s. In his last 5 season’s he’s won 13 games four times and 12 games once. I have given him a 1% chance of hitting 300 on the off-chance that he pitches well into his mid 40s, continues to put up 4th starter figures and finishes with a career record of something like 302-285. He doesn’t miss many starts, so perhaps he’s that durable. The last three guys mentioned (Rick Porcello, Yovani Gallardo and Matt Cain) are all given 0% chances at this point but are listed thanks to their advanced win totals by their mid 20s. Cain’s sudden drop off in 2013 (a common theme in this list) has seemingly cost him any shot at reaching 300 wins despite his normal sturdiness. Gallardo had a 10% chance last year and drops to zero thanks to my having almost no confidence that he is a good enough pitcher to accumulate enough wins going forward. And Porcello remains essentially a 5th starter who just happened to matriculate to the majors at the tender age of 20. I can see him having a career similar to Buehrle’s; long tenures of near .500 record. In fact, ironically Porcello’s 162-game average W/L record is identical (14-11) to Buehrle’s … which is also identical to Bumgarner and very close to Cahill’s. I think there’s something clearly “accumulator” in nature to all these guys. What has happened to some of the candidates from last year not mentioned yet? Roy Halladay went from a near Cy Young season in 2011 to retirement in just two short seasons. Shoulder injuries are a killer. He retires with 203 wins. Chad Billingsley lost nearly the entire 2013 season to injury, scuttling what dim chances he had. He’s now not even guaranteed a spot in LA’s high powered rotation. 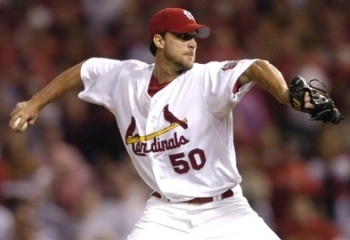 A bunch of veterans who already had little chance (but were mentioned anyways) have now retired: Jamie Moyer, Livan Hernandez, Andy Pettitte, and Kevin Millwood. Tim Hudson is an interesting case; he sits at 205 wins, lost a chunk of last season to injury but signed on in a pitcher’s park in SF. He’s gotten 17,16 and 16 wins the last three seasons in his mid 30s; can he just continue to get 16-17 win seasons and suddenly be looking at 300 wins by the time he’s 42? Maybe, but he’s going to have to be good these next two seasons. Thoughts? Do you care about 300 winners like I do, or is it just an anachronism of baseball history that will go the way of 300 strikeouts, 30-wins and hitting .400? As cool and awesomely thought out as it was for the Yankees to get Metallica to perform a live version of Mariano Rivera‘s signature walk-on song Enter Sandman earlier this week, this was even cooler; Derek Jeter and Andy Pettitte coming out to pull him from his last home game. The 5 minute ovation was great, but I gotta admit this video is pretty moving. 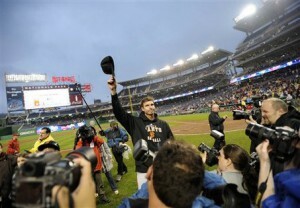 You’re not a baseball fan if you’re not a least a little choked up here. A legend moves on. The greatest reliever by any measure (opinion or stats) will set the bar pretty high going forward for any hall-of-fame calibre closer to achieve once he’s enshrined. How do Pitchers “tip” their pitches to opposing hitters? 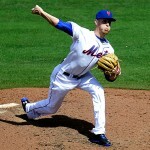 I’ve taken an interest in Mets rookie right hander Zack Wheeler since his call-up. I nabbed him for my fantasy team and have watched his starts when I could. His name has been in the news for quite a while, ever since he was traded by the Giants for a 2-month rental of Carlos Beltran (a trade that had Giants prospect-watching fans howling). Moreso because of Wheeler’s pedigree; 100mph heat, #1 starter ceiling. There’s nothing more exciting than seeing a prospect for the first time, even if he could be the bane of your team’s existance for the next 10 years. 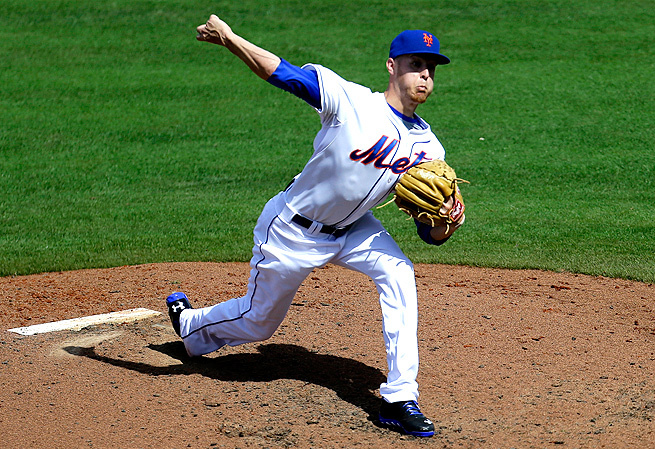 His first few starts have been up and down; now we may know why: reports are coming out of the Mets camp that say that Wheeler’s been tipping his pitches. Of course, it apparently wasn’t an issue when he threw 6 shutout innings in his debut, but its still something worth looking into. The team plans on working with Wheeler in the bullpen to make some adjustments (he apparently is doing several things wrong right now; see below for all the different ways he’s tipping). However, apparently not enough was fixed prior to his last start against the Nationals, who teed off on him as if they knew what was coming. And you know what? They probably did. But this got me wondering: how exactly to pitchers “tip” their pitches? I’ve played an awful long time and have always been a “feel” hitter at the plate; I look fastball, adjust to the curve, never really give much thought to trying to think along with the pitcher, and generally “feel” my way through at-bats. I’ve never in my life specifically looked for or noticed a pitcher tipping his pitches or tried to take advantage of it; frankly when a guy’s fastball is only in the upper 70s or low 80s as it generally is in amateur leagues, you don’t really need to get that kind of advantage. After doing a bit of research, here’s what I’ve found. 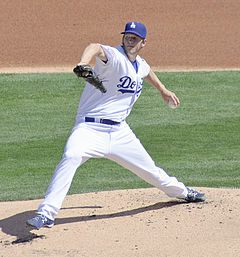 Pitchers can “tip” their pitches a number of different ways. Differing Arm Angles for different pitches. This (according to the above link) is one current Wheeler issue. I have seen this personally; usually a curveball comes in at a slightly lower arm angle if the pitcher wants to get more side-to-side action. Pitch F/X data tracks release points and this type of tip can be worked on. Differing Arm Action: A common tip is when a pitcher specificically slows their arm when an off-speed pitch comes, especially a change-up. This is an amateur tip though; professionals throwing change-ups hone their craft to be as deceptive as possible. Glove Positioning: another apparent Wheeler issue; he was holding his glove in different spots (as pointed out by this fangraphs.com link and as noticed in the video in this article here) depending on the pitch. This has to be something done unconsciously; there’s no reason to hold your glove in different spots or to hold your body in different positions based on the pitch you’re going to throw. Others have noted that pitchers will have different “glove widths” depending on the grip; a “12-6” grip (like on a fastball) allows the glove to be slightly more closed than a “3-9” grip, like you’d have on a curve ball. Another glove tip-off may be the way the glove is held in the set position; some pitchers have a tendency to hold the glove more straight up and down when throwing fastballs. Differing Motion Mechanics: I’ve often wondered if our own Drew Storen, who uses two different leg kicks, has any sort of telegraphing of his pitch selection by virtue of this mechanical difference. Andy Pettitte unconsiously was once found to bring his arms together in slightly different ways from the stretch depending on the pitch he was to throw. Dennis Eckersley admitted (after he retired of course) that he went through a tipping period where batters could tell he was throwing off-speed stuff because he unconsiously was “tapping” his leg with his hand. Differing Motion Speeds: do you speed up your motion for one pitch but not another? Apparently Wheeler may be doing it now. Conventional wisdom states that a pitcher will take a nice leisurly motion for a fastball to gain natural physical momentum but may forget that momentum when he’s throwing a curve. Pitch Gripping in the Glove: If a pitcher throws an unconventional pitch that takes a moment to get a grip on, a batter can pickup on different timings or different mannerisms and get a read on the pitch. I’ve noticed this with pitchers who throw specifically the split-fingered fastball, one of the more difficult pitches to properly grip. I once watched a guy on the hill who would pre-jam the ball in-between his fingers as he took the sign; it became pretty easy to know what was coming because if he did NOT fiddle with his glove you knew it was a splitter. Some pitchers have to look down at their grip to get it right after accepting the call; can you glean anything from this fiddling in the glove? Pitch Grip Visibility: Mike Mussina found out from a teammate (Jorge Posada) during spring training one year that his unique change-up grip telegraphed the pitch to opposing hitters. Posada watched him pitch and called out every pitch in what must have been a rather disheartening bullpen session. He made a slight adjustment with his finger positioning and eliminated the tell. This problem is somewhat related to a pitcher’s overall ability to “hide the ball” during his wind-up; if you’re an over-the-top thrower and you throw a pitch that shows a lot of the ball … batters can see it. Knuckleballers especially are plagued by this, but they don’t much care since everyone knows what pitch is coming anyway. Poker-face tells: sometimes pitchers just flat out have a Poker table-esque tell that they unconsiously perform on certain pitchers. They’ll grimace, or puff up cheeks, or stick out their tongue on some pitches but not others. The best way to find out about any of these tells is to have a former rival hitter get traded to your team. But even then sometimes players can be secretive. So video tape work is key, as is 3rd party eyes looking for predictive tells in your body language and motion. I was out all last week, hence the radio silence here. I couldn’t help posting yesterday though about the Nats blowing another excellent start. So lets get back into the swing of things with another episode of Tom Boswell‘s weekly chats, this one for 5/13/13. As always I write my response here before reading his, and sometimes edit questions for clarity. Q: With the technology we have today, do we really need umpires anymore? A: You know, the answer is probably “Yes, we could replace Umps with robots” and have a better product on the field … but the implementation details seem so difficult that I doubt it ever really fully happens. You have to have real people on the field to deal with all the randomness that occurs in baseball games. I think the best eventual solution will be to have challenge systems put in place like we have with Football, only hopefully done much much faster. Sort of like the NHL’s New York-office based replay officials. The strike zone issues we’re seeing lately though are troubling; can you automate a strike zone call with players who move and bend over in mid-swing? How do you establish a strike zone for these guys? Inside and outside are no problem, but up/down is tough. Boswell supports robot strike zones. Q: If Harper had been just a normal everyday player, coming up through the system, would that swing of his — namely the left foot coming up and the seemingly wild attack at the ball — have been beaten out of him by now by the coaches? A: Not necessarily. But if Bryce Harper had been a “normal” prospect instead of an uber-prospect then I think he would have had adjustments pushed onto him. There have been successful players with that trailing foot off the ground; Frank Thomas and Roberto Clemente come to mind. I always have a pet peeve personally when I see a hitter who lifts his back leg; I have the same issue in my own swing and was told by a high school coach that it was a flaw. Well, I don’t think guys like Clemente and Thomas were flawed hitters. I think it is what it is; if you feel comfortable hitting off your front foot and are successful, then so be it. Boswell notes Clemente and a few others who have this trait, and agrees with me that it’s an overstated issue. Q: Is this the breakout season for Jordan Zimmermann? Is it the changeup? I’ve never seen him look so in control out there. A: Can it be as simple as Jordan Zimmermann has finally fully recovered from Tommy John surgery? Fangraphs shows pretty consistent frequencies and speeds of his pitches from last year to this year. One thing that jumps out for me right now is his very low BABIP (.209 so far this year). That smells like some regression. So while he can’t sustain his ridiculous numbers (1.59 ERA through 7 starts), he does seem to be on track for a very good season. Cy Young capable? With his current W/L streak and peripherals, he may pitch his way into the conversation. Boswell notes that Zimmermann would have been in top 10 of league ERA last year with a few more IP, and that poor run support has cost him wins for years … so this all likely is Zimmermann finally getting the full package. Q: How concerned are the Nats about Zimmerman’s shoulder? 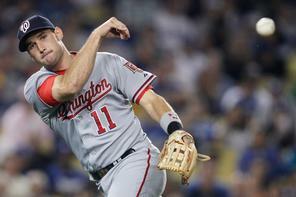 A: Can’t speak for the team, but is anyone happy with Ryan Zimmerman‘s throwing issues right now? Nothing has changed from what I wrote in Mid-April about the situation. And I don’t know what the team is going to do with him. Jon Heyman quoted an anonymous competing Front Office executive after Zimmerman signed his big deal that the Nationals “now have two $100M contracts but no $100M players.” It pissed me off at the time … but is really hard to argue against now. Will these contracts hamper this team’s development and/or ability to sign all its players in a few years time? We’ll see. Boswell mirrors what i’ve written before; the team has no place to put Zimmerman and they have to just ride it out. Q: Drew Storen looks like a different pitcher this year. ERA is up to 4.73, and for the first year since his debut I’m nervous when he takes the mound. What gives? A: A great question. Others here have predicted that Drew Storen may be demoted this season due to performance. His blowing of the Gonzalez gem was just one more nail in his coffin. But a look at the stats shows that he’s basically been unlucky so far this year. Most of his peripherals are improved in 2013 over last year; his K/9 is up, BB/9 is down. His BABIP is incredibly high right now (.370). Despite an ugly ERA his fip/xfip numbers are normal and low. His velocity is a tick lower this year but not appreciably so. I think he’s just been unlucky and will improve with more innings as he regresses downwards to the expected mean. The one thing stats can’t measure though is his mentality; is he “depressed” because he’s not the closer? Any way you spin it, the acquisition of Rafael Soriano represented a “demotion” for Storen, and it comes on the back of a pretty demoralizing NLCS game 5 meltdown last year where Storen single handedly lost the series for a team that most thought was the best in the game. Boswell says his stuff is still “plenty good” but that he’s screwing around with too many pitches in his outings, relying on his sinker too much. He needs to just go after hitters. I agree; young guys have a tendency to nibble and work backwards if they’re too clever (see Bauer, Trevor) and need to listen to their pitching coaches. Q: When errors occur or a bad call is made, Strasburg appears to have a difficult time making the necessary pitches to get out of an inning. Is this just an example of him being 24 and still learning or is there a bigger long term issue? A: Great question again (lots of good ones here). We’ve all played behind pitchers who lost their composure when a simple error occurs behind them (in adult leagues, this pretty much happens on every other ground ball, so you have to learn to go with it). Stephen Strasburg‘s mental breakdown after Zimmerman’s latest throwing error, leading to 4 unearned runs and a loss in a game where I thought perhaps he had no-hitter stuff, was really disappointing. Is it him being young and immature? Could be, though I have never gotten the impression that Strasburg ran on the immature side. How can you, when you have so much career hype? But the evidence speaks for itself; when your manager and your catcher call you out in the press for losing your composure, you have some work to do. Boswell posted a fantastic stat; 15% of Strasburg’s career runs allowed were unearned, twice what Justin Verlander has allowed in his career. That’s incredibly telling. Strasburg needs to work on his mental approach after bad things happen behind him. Q: So Bryce has cooled off some, but what concerns me more is that even when he was scalding hot, he was hitting LHP. Should we be concerned? His OPS against LHP is .502. A: I’m not concerned about Harper’s Lefty split, since nearly every left-handed batter in the game has a bad lefty split. 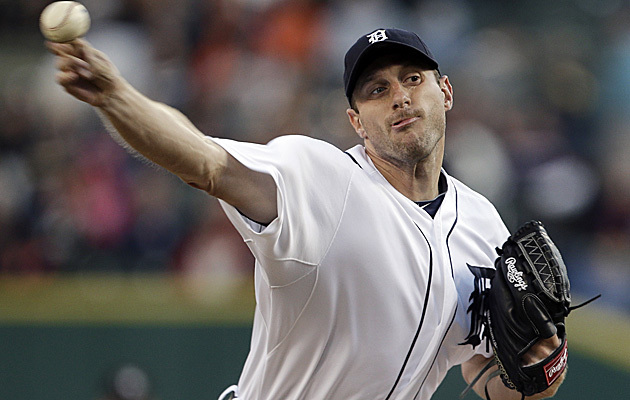 He looked downright awful against lefties in 2012 (highlighted by his 5-K game against Andy Pettitte and the Yankees), but has made adjustments. 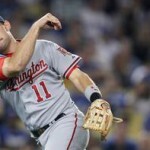 Now it seems that the league has re-adjusted, so Harper needs to re-adjust. So far in his young career, Harper has shown how well he adjusts (he’s years above his age in this regard), so I have confidence he’ll be ok. Boswell prints some great numbers so far for Harper and says he’ll be ok.
Q: I recently read two articles that said that sabermetics considers a strikout to be no better or worse than any other out. This fact does not seem to make sense because missing the ball completely with two strikes eliminates any chance for productive outs, for foul balls leading to another chance, or reaching base due to normal batting average on balls in play. Also, psychologically, a strikeout has to be more deflating to the individual and team than another out. Thoughts? A: There’s a weird dichotomy in sabremetrics in this regard: batter K’s are “not that bad” but Pitcher K’s are what everyone strives for. Doesn’t this seem at odds with itself? The only reason I can think that a K is “ok” if you’re going to make an out is if it somehow prevents a double play. But this is a research-worthy topic. I also heard a great stat on a podcast; 3 players struck out 40 or more times in April of this year (if memory serves it was Jay Bruce, Chris Carter, and Mike Napoli). Joe DiMaggio didn’t strike out 40 times in a season his whole career. The league is just different now. Boswell doesn’t really say much on the question other than the DP angle. Q: Yesterday’s game was as strong an argument as I could make for the National League to use the Designated Hitter. Gio should have been allowed to finish the game with his low pitch count and excellent throwing, but he was pulled for a batter (who did nothing). Forget tradition! If we had the DH, we could have kept Michael Morse! And we probably would have won yesterday. A: A good ancillary point to my rant on Gio Gonzalez‘ replacement the other night. I support a DH across both leagues and posted many good reasons in this space in March 2013. No reason to repeat them here, but this question goes to points #2 and #4 in my March post (fan experience and NL pitcher’s getting limited). Boswell talks about the Gio decision and not really about the DH. Q: Is Zim still among to the top 5 or top 10 3rd baseman in the majors in your opinion? A: Interesting question. A quick glance at the Third Basemen on depth charts around the league leads to this list of players who I would take right now over Zimmerman: Miguel Cabrera, Evan Longoria, Adrian Beltre, David Wright, and maybe even Chase Headley or David Frese. Now counting contract status/potential at this point given Zimmerman’s money owed and his declining performance on both sides of the ball, I’d think hard about Manny Machado, Bret Lawrie, Todd Frazier, Nolan Arenado, Pedro Alvarez and Pablo Sandoval. Of course, potential is potential and Zimmerman already has a long list of accomplishments in this game, so on the whole of his career i’d put him just behind Wright in the above list. So yeah I think its safe to say he’s a top 5 third baseman right now. Ironically in my Yahoo Fantasy list, he’s also #5 and listed exactly behind the four guys in that upper grouping, in that exact order. Boswell says no, not defensively. But i’m not sure that’s entirely how you judge players these days. Cabrera isn’t exactly a gold glover at third but would anyone say he’s not the “Best Third Baseman” in the game? Q: No doubt that Jayson Werth is a phenomenal locker room presence and his home run in the playoffs last year was one of the highlights of the year, but he missed half the season last year and is on the DL now. He turns 34 next Monday and the Nats have him on contract for 4 more years. What do you think they can legitimately expect from him? A: I think you expect Jayson Werth to contribute in the same ways he did in 2012; around a 125 OPS+ with some power and a lot of OBP. Eventually he moves to left field, where he should be a excellent defender in the latter years of his contract. It is what it is: the Nats paid him for his four years of unbelievable offense in Philadelphia, and he’ll be lucky to get back to that level in his mid 30s. Boswell agrees. 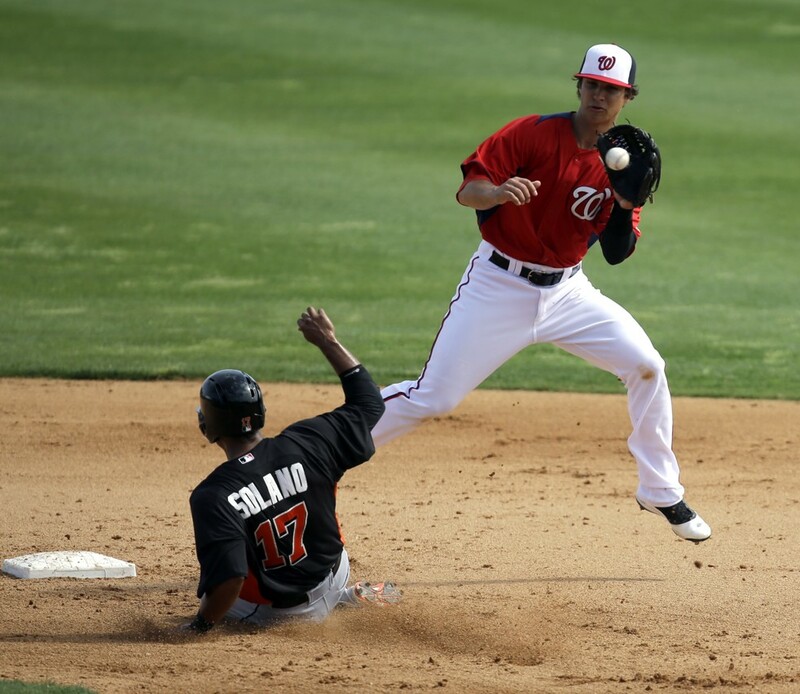 Q: Is Denard Span the best centerfielder we’ve had since Clyde Milan? I don’t recall seeing a smoother Washington centerfielder. A: Easily the best “all around” player to play center since the team moved here. I’d probably argue that Rick Ankiel was better defensively and clearly had a better arm, but Denard Span‘s consistency at the plate gives him the easy nod overall. Can’t speak to years prior to 2005. Boswell agrees and signs off. Despite being much maligned as a method of judging a starting pitcher’s worth, the “Win” is still the essential goal of every starter in the majors and the accumulation of them over a season or career still inspires much thought and discussion. The magical “300 win” threshold remains one of the more challenging career objectives for any starter, and remains an interesting benchmark to discuss. 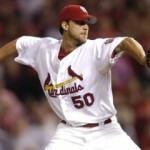 Only 23 pitchers in the history of the game have reached 300 wins. So, after Randy Johnson‘s reaching the benchmark, and after a number of recent start pitchers also hitting the plateau (Greg Maddux, Roger Clemens and Tom Glavine), are we ever going to see another 300-win pitcher? Here’s some other reading on this same topic by the likes of John Dewan (referencing Bill James‘ annual predictions on who may reach 300 wins with his percentile chances), David Schoenfield (in a dated piece predicting Roy Halladay‘s chances for getting to 300 wins), and an early 2012 piece from Jon Paul Morosi talking about Clayton Kershaw‘s chances. If a pitcher were to enter the major leagues at age 23, he would need to AVERAGE 20 wins for the next 15 years to reach 300 and pitch until age 38. Put another way, that same pitcher entering at age 23 would have to average 18 wins for 17 seasons to reach 300 by about age 40. The majors have had ONLY Eleven 20-game winners in total over the past 5 seasons. (Seven of which have come in the last two years, echoing the “rise of the pitcher” and the collapse of the PED slugger era, so perhaps its getting easier to accumulate wins). 5-man rotations mean that starters are averaging 33-34 starts a year, down from the 38-40 starts that Pitchers would get just 20 years ago. Because of mania over inning counts, specialized relievers, and an obsession with using “closers” in save situations, starters now only earn decisions in around 69% of starts, down from 78.5% of starts in 1972 (source Jay Jaffe‘s article, referenced further down). This means the average pitcher only gets about 24 decisions from their 33-34 starts, making the 20-game winner even that more rare. One can argue that better pitchers get more decisions because they’re more likely to pitch into the 7th and 8th innings, by which time their team should have scored enough runs to win for them. 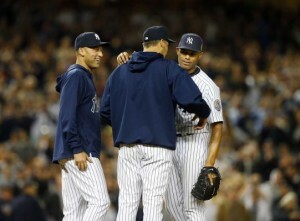 But the fact remains that a lot of wins and losses are in the modern bullpen. In 2009, just as Randy Johnson won his 300th, I had two long winded discussions (one in April 2009, another in June 2009) an older version of this blog that I maintained with friends about the demise of the 300-game winner. Blog author Jason Amos did a great summary in this posting along with some great links. Now, with another 3 seasons in the books, I thought it might be interesting to see who we were considering as candidates just a few years ago and who might be the next “best” candidates to get to 300 wins. I’ll address candidates and their chances as we present pitchers a number of different ways. (coincidentally, the 300-game winner spreadsheet I’m using for this post can be found at this link, and in the Links section along the right hand side of this page). Of this list of top 10 active win leaders, clearly most of them are never going to reach 300 wins. Jamie Moyer has not yet retired at age 49, but the odds of him even making another MLB roster seem thin. Likewise Livan Hernandez and Derek Lowe may struggle to get guaranteed contracts in 2013. Andy Pettitte has returned and pitched effectively for the Yankees this year, but he’s 50+ wins away from the plateau and only seems likely to maybe pitch one more year. Bartolo Colon does have a contract for 2013 but it may be his last season, and Kevin Millwood is just too far away. Tim Hudson, despite his strong performances the last few years, is just too far away at this point as well. The chances of any of these guys to reach 300 wins is 0%. How about the rest of this top 10 list? Specifically CC Sabathia, Roy Halladay and Mark Buehrle? There’s some intriguing candidates there. Lets look at their chances a slightly different way. 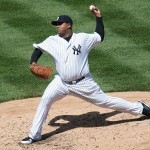 By this analysis we see that CC Sabathia looks like a pretty sure bet to hit 300 wins, and for good reason. He’s been healthy, he plays for a team that is constantly winning, and he doesn’t have to pitch like a Cy Young award winner to get wins in New York (21, 19 and 15 wins his last three seasons). He has always been healthy and just needs 5 more solid seasons to be very close to the 300 win plateau. He’s signed through 2016 (with an option for 2017), and there’s no reason to think he’s not going to see that contract through. His elbow-injury scare in the post-season turned out to be innocuous, but we’ll keep an eye on his health status in 2013. If he loses a season or more to injury the chances of his making 300 wins declines precipitously. Felix Hernandez has nearly a 100 career wins at age 26, and also seems like a decent bet to hit 300 wins at this point. But, he’ll need to move to a winning team to make this task easier on himself; he’s only won 13,14 and 13 games the last three seasons because of dreadful run support. He’s signed through 2014 and I’d be surprised if he stays in Seattle (unless they turn that franchise around in the next 3 years). Clayton Kershaw and (surprisingly) Trevor Cahill appear here by virtue of a lot of early career success (Cahill was an 18 game winner for a bad Oakland team at age 22 in the majors, no small feat). While both have been injury free thus far, it is really difficult to project 24yr olds as staying healthy deep into their 30s. So, we’ll say they’re promising for now but need to get to about 150 wins before we can really start projecting their odds. Yovani Gallardo has quietly been racking up wins as Milwaukee’s “ace,” but is sort of in the same boat as Kershaw and Cahill; he’s only 26, so its hard to see how he’ll sit at age 30. If he’s got another 60-70 wins in four year’s time, we’ll talk. Justin Verlander‘s 24-win season in 2011, as well as his established status as the “Best Pitcher in Baseball” right now, has launched him into the discussion. The problem is that he “only” has 124 wins entering his age-30 year. He needs to average 18 wins a year for the next decade to have a shot. That’s a tall task, especially considering how well he pitched to just get to 17-8 this year. It isn’t out of the realm of possible, but it is a longshot. Mark Buehrle and Roy Halladay are both aging workhorses whose chances of reaching the plateau are dimming. Buehrle has just moved to the hyper-competitive AL East and wasn’t exactly dominating to begin with. Meanwhile Halladay’s injury struggles have limited his wins the last couple seasons, likely knocking any chance he had of hitting the plateau. I’ll give them each non-zero chances, but barely non-zero. I’ll give them both the benefit of the doubt because they both seem like the kind of pitchers who could pitch well into their 40s and get the extra wins they’d need to move over the top. Matt Cain and Chad Billingsley are both mentioned because they had a ton of wins before the age of 25; both in reality are not accumulating wins at the pace they’ll need to stay even close to hitting the 300-win plateau. 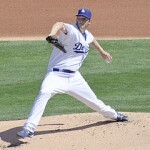 Plus Billingsley struggled with an injury this year and may be affected next season. Chances right now; slim. I posted this list because a number of these players were formerly listed as good candidates to hit 300 wins. Specifically, Carlos Zambrano, Jered Weaver, and Tim Lincecum. Zambrano may be out of baseball in 2013, Lincecum may not even be a starter any more, and Weaver, while clearly getting a ton of wins lately needs a slew of 19-20 game winning seasons to catch back up. The collection of 26-yr olds in David Price, Johnny Cueto, and our own Gio Gonzalez are all well behind the paces being set by fellow-aged pitchers Hernandez, Cain and Gallardo, though it isn’t hard to see any of these three post multiple 18-20 win seasons in the coming years. Conclusion: I believe we will see another 300-game winner. I think Sabathia has a very good chance of making it, as does Felix Hernandez at this point in his career. But injuries can quickly turn a 300-game career into an “out of baseball by 36” career, so nothing is set in stone.